Biotechnologia Acta is a multidisciplinary blind peer-reviewed scientific journal, published by the National Academy of Sciences of Ukraine and Palladin Institute of Biochemistry of the National Academy of Sciences of Ukraine. — legal and ethical aspects of biotechnology. The journal was founded in 2005, registered under Біотехнологія name and was renamed in 2013, КВ No 19650-9450ПР series at 01.30.2013, as Biotechnologia Acta, the official abbreviation is Biotechnol. Acta, from No1, 2008 to No6, 2012 it is transliterated as Biotekhnolohiia. 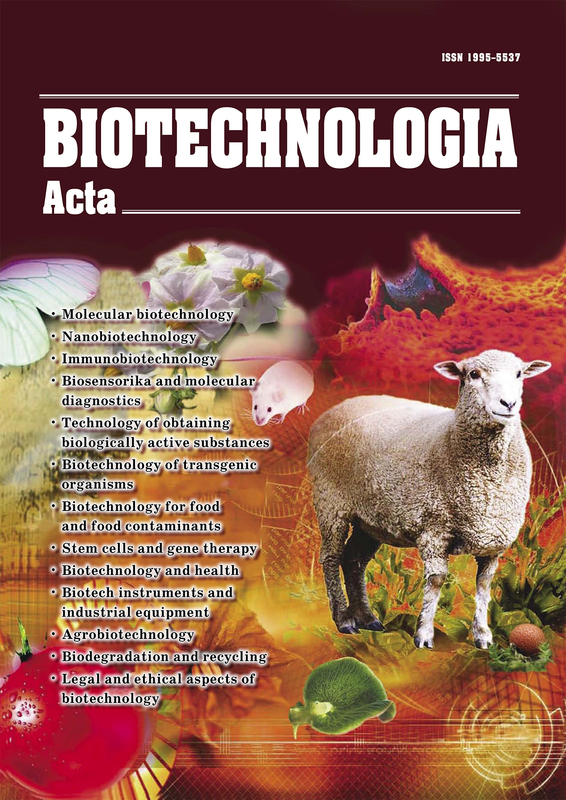 Biotechnologia Acta is issued bimonthly, publication is fee. The format of Biotechnologia Acta corresponds to the international standards. The articles are published in English and have identical summaries in Ukrainian and Russian languages. Biotechnologia Acta has been included in High Attestation Certification Commission list of Ukraine according with the following subjects (topics): biology, biotechnology, bioengineering and biomedical engineering), Resolution of the Cabinet of Ministers of 29.04.2915 No. 266..